Finding a job in this economy is like trying to find a needle in the proverbial haystack. You can uncover as much hay as you want, but the primo job remains as elusive as ever. Although finding the best job for you is difficult, it becomes virtually impossible when you make the most common resume mistakes. With 2015 fast approaching, you need to learn which of the resume mistakes shoot you in your job searching feet. What happens when a prospective employer reads a resume riddled with spelling errors, grammatical mistakes, and typo issues? The employer either uses your resume to start a campfire or makes a paper airplane out of it for the amusement of fellow workers who know how to craft professional resumes. You can have all of the qualifications in the world, but you do not get your feet in the door when you screw up the basics of spelling and grammar. 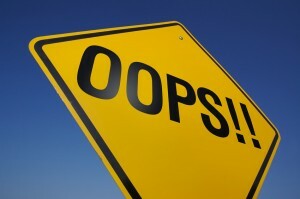 Of all the resume mistakes, screwing up the basics has the most negative impact on your job prospects. If you target a company for its outstanding reputation, wouldn’t you want to target your resume to match the company’s job description? Too many job seekers send the same resume out to a wide variety of companies that operate in different industries. If you’re an online marketing specialist responding to varied online marketing job recruitment advertisements, you need to craft your resume to match the industries in which the companies operate. Otherwise, you’re making one of the most common resume mistakes. If a resume is a minute-long read that prompts an employer to take action, then the resume career objective is a few seconds worth of attention grabbing material that prompts the employer to read the entire resume. Bland, generic objectives, such as “Desire a challenging position that offers career opportunities” is about as compelling as watching grass grow in the desert. You need to write a pithy career objective that specifies what you want out of your career. A resume is not supposed to read like War and Peace. Human resources professionals do not have the time or the patience to read you entire life story over five pages. Resumes should only run one page that includes at a minimum, the objective, work experience, and education. Employers care less that you collect stamps or were voted most likely to succeed in high school. Avoid one of the worst resume mistakes by keeping it short and making sure it reads consistent throughout one page. It used to be that your accomplishments meant everything on a resume. However, the resume has morphed into a platform that should stress past relevant job responsibilities. A growing number of human resources experts recommend job seekers list the duties they performed in previous positions that match the job description of prospective employers. Discussing accomplishments now takes place during interviews. Don’t make one of the most damaging resume mistakes of omitting past job responsibilities from your résumé. A resume can be your ticket to securing the job of your dreams. Don’t make the most common resume mistakes that get you the dreaded letter thanking you for your time and telling you that your information shall remain on file for six months. Above all, don’t leave out the important information that separates you from the rest of the job hunting pack.